Derbyshire is a county of dramatic contrasts and breath-taking beauty. Wedged between Derby, Sheffield and Manchester, the Peak District is its crowning glory. The Pennine Way, a national trail in northern Derbyshire is a spectacular way to experience the English highlands. This, along with short treks exploring the dales, mysterious henges and woodlands attract visitors from all over the country. The best places to stay in Derbyshire offer great bases to explore these landscapes and enjoy the countryside activities of Derbyshire. The magnificent flat peaks, and windswept moorlands shrouded in mist has inspired our best-loved authors, Charlotte Bronte and Jane Austen. Jane Eyre, Bronte’s most well-known piece of writing was set in the village of Hathersage, and the famed Chatsworth House, inspiration for Pemberley in Austen’s Pride and Prejudice, are both in the Peak District. And while you’re there, don’t forget to experience the local delicacies and delicious deserts! Dovedale, a valley in the Peak District, is best known for its limestone dales defined by narrow gorges, hump backed bridges, crystal clear brooks and drystone walls. The valley also lets you experience a magnificent view of neat fields and pristine pastureland as far as the eye can see. Visit the modest villages of Alstonefield, Tissington and Hartington. Here you will find charming little country pubs with coal fires and casket ales, a perfect stop off for your hike or trek. The market town of Ashbourne is delightful (with a proper country market), whilst the Georgian spa town Buxton is the home of the flourishing Buxton Opera, producing over 450 shows during the year. There are magnificent stately homes and gardens to visit in Chatsworth, Haddon Hall, Hardwick Hall, Calke Abbey, Sudbury and Tissington Hall. For the more sedate visitor, the Peak Railway from Matlock to Rowsley takes passengers by steam train through a slice of perfect English countryside. Explore the deep underground caves and disused mines around Castleton. And to round it all off, take a bite of the delicious Bakewell tarts for tea from one of Bakewell’s famous tearooms. 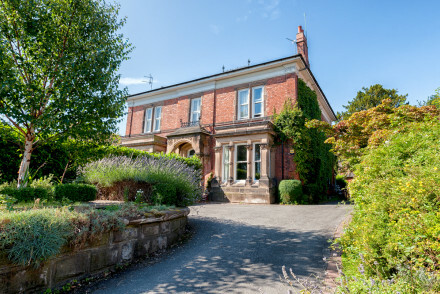 The range of accommodation here is wide, but our selection of the best places to stay in Derbyshire concentrates on properties with great service, many of which also boast superb food and much more. 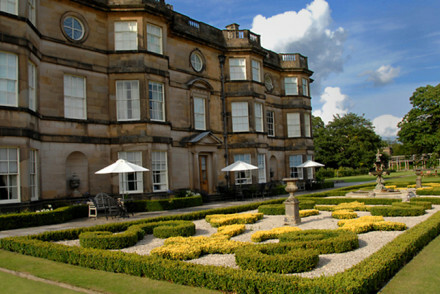 The Priest House Hotel is ideal if you're planning a visit to Alton Towers or Donnington Park. The contemporary classic styled rooms start from as little as £85 per night and there's 2 AA Rosette standard fine dining. 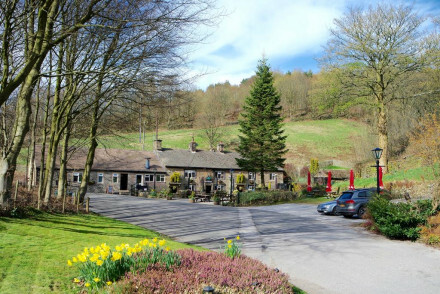 Both close to the Chatsworth Estate, the Devonshire Arms at Pilsley and the Devonshire Arms at Beeley are stylish country pubs decorated with antiques and ornaments. 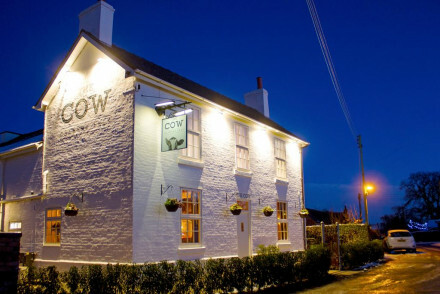 Specially designed by the Duchess of Devonshire, the pubs have cosy rooms and great bathrooms. They also offers mouth-watering meals and walks around the Chatsworth Estate. The Peacock at Rowsley boasts a stylish mix of traditional and contemporary and has a well-earned reputation for superb food. A great location for lovers of country pursuits looking for a classy bed to come back to. The Cavendish Hotel is a country house hotel on the edge of the Chatsworth Estate. Here you'll find classic, luxurious style and breath-taking views, plus award winning food in the restaurant. Fischer’s Baslow Hall is an imposing manor house with quaintly traditional interiors with chintz fabrics, floral motifs and antique furniture. The attached Michelin starred restaurant boasts a wonderful dining experience with great food and the best service. Stanshope Hall occupies an awe inspiring location close to Dovedale. 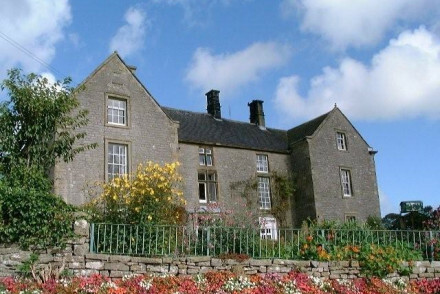 The 17th century manor house is very much a family home, but offers three rooms for guests. Wonderful for walkers, or simply those who want to enjoy the view. For an elegant country house hotel, stay at Hassop Hall. This understated gem is set in sweeping parkland. The rooms are comfortable and cosy with four poster beds, and there are public areas with roaring fires and quiet spaces where you can order ‘luncheon’. It is well-suited for families and outdoor enthusiasts. 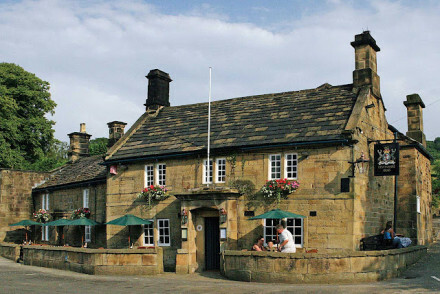 The George Hotel is a 500 year old coaching in the village of Hathersage - Jane Eyre territory - in the north of the Peak District National Park. The outstanding countryside is all around, with walking on the doorstep. Pampering luxury and delicious 2 AA Rosette standard food awaits after a day in the great outdoors. The Kedleston Country House is a beautiful Georgian building that offers chic, individually designed rooms, a garden terrace and a large, magnificent dining hall. The location is ideal for exploring the nearby sights and long walks through the Derbyshire countryside. 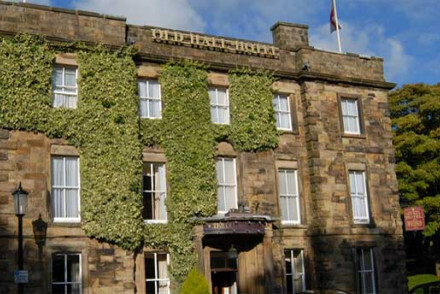 The Old Hall Hotel is an ancient ivy-clad hotel situated in the old town of Buxton. The rooms feature a traditional setting with heavy draped curtains and four poster beds. This haunt is wonderful for an antique British experience and a great base to discover the delights of the Peak District on foot. Take a look at our entire Derbyshire collection with specials highlights on the Peak District and the best pub stays. If you've decided that you'd prefer to book a villa or apartment, we recommend you visit our online booking partner, Booking.com, where you'll find a wide range from budget to boutique. The nearest airports to Derbyshire are Manchester Airport and East Midlands Airport. There are direct trains from major cities that take you to Derby or Chesterfield. For train times, call the National Rail Enquires. To enjoy lavish countryside drives, hire a car from our online partner Rentalcars. 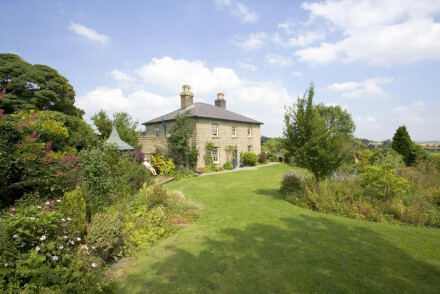 Check out our selection of the best places to stay in Derbyshire and start to plan your visit. Alternatively widen the remit and take a look at our Yorkshire collections. 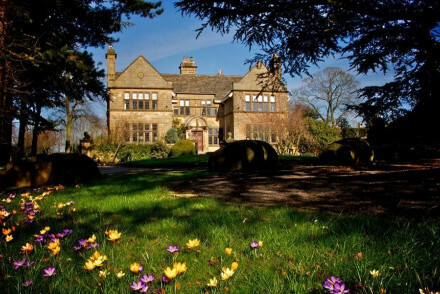 A 17th century manor first opened as a hotel in 1820, in the middle of the Peak District. Recent renovation has created a stylish mix of traditional and contemporary, with luxurious trappings and outstanding food. Come for walking and fly fishing on a seven mile stretch of river. True English charm. Total relaxation - They go the extra mile to help you relax- afternoon tea on arrival, camomile tea for bed and roaring fires in the cosy bar. Country Escape - A historic country hotel in stunning surrounds, well placed for fishing, golf and walking weekends. Fishing - Access to a 7-mile stretch of fly-fishing along the Wye and Derwent where rare Rainbow Trout and Brown Trout can be caught. Local markets - Foodies flock to Bakewell's farmers market, the second largest in the UK, it boasts the cream of the local produce. 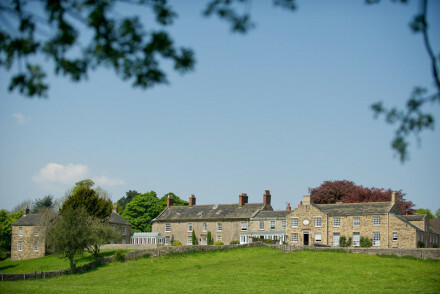 Beautiful country house hotel in the heart of the Peak District. Stunning views of the Chatsworth estate and countryside. Open fires, oak beams, antique furnishings. Award-winning restaurants and fantastic walks. 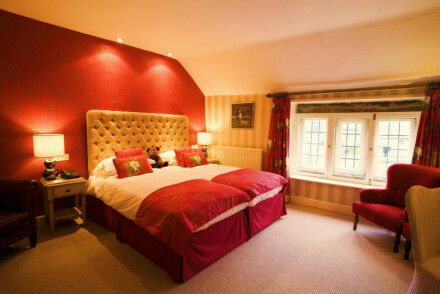 The Coach House is a boutique bed and breakfast located in the heart of Derby. Featuring seven rooms split across two historic buildings with hunting lodge themed interiors, an impressive mahogany bar and luscious surrounding gardens. Extra beds for junior guests can be provided. 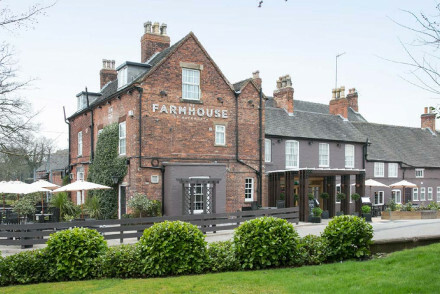 A 17th century coaching inn with an onsite micro-brewery. This recently refurbished guest house and restaurant offers 9 light filled rooms in old country house style. The Boot offers fine wining and dining amongst traditional features including oak beams, original fireplaces and sash windows. Stylish country pub with occasional antiques and great bathrooms, interior designed by the Duchess of Devonshire. Good food from the Chatsworth Estate, and walks from the door. Great walks - Extensive walks around the estate. Sights nearby - Close to Chatsworth. 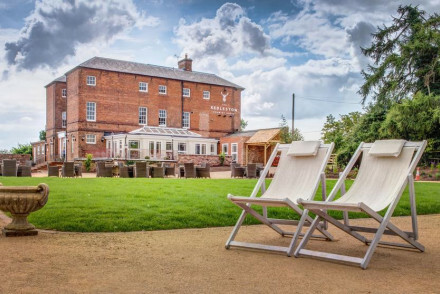 Beautifully located on the banks of the River Trent, the Priest House Hotel offers fine dining and luxury accommodation with easy access to both Derby and Nottingham. Very close to East Midlands airport it is ideal for business and leisure travellers alike. Sights nearby - Close to Alton Towers, Donington Park racing circuit and much more. 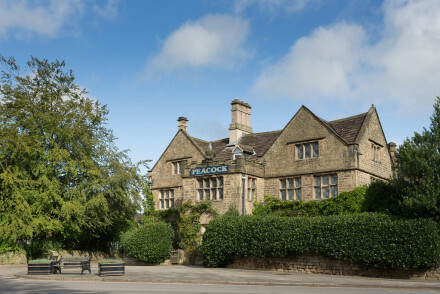 An historic inn which oozes atmosphere, in the heart of the Peak District. Three rooms have recently been renovated and are light and airy with sink-into beds and contemporary bathrooms. Downstairs is much more traditional with roaring fires, hearty food in the restaurant and a very warm welcome. Recently refurbished 18th Century farmhouse now boasting cool, slick decor. Rooms are light and airy with soft pastel hues, indulgent bathrooms, contemporary artworks and sink-into beds. Dine on modern British fare, sample regional ales and spend days exploring the beautiful Peak District. 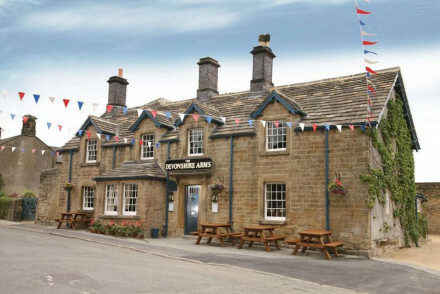 Stylish country pub with boutique bedrooms and good food close to Chatsworth. Excellent for local sightseeing and walking. Good, contemporary style brasserie. Sights nearby - Chatsworth on the doorstep. Understated elegance in this glorious country house hotel set in sweeping parkland. Comfortable, sometimes chintzy bedrooms, four posters, roaring fires, and a quiet setting, where you order 'luncheon'. Well suited to families and outdoor enthusiasts. Imposing 17th century manor with lovely garden in an unrivalled, rural position not far from Dovedale. Secluded, quiet, with great walks in all directions. Large, traditional, rooms with stunning views. A pub within walking distance. A lovely country bolt hole. 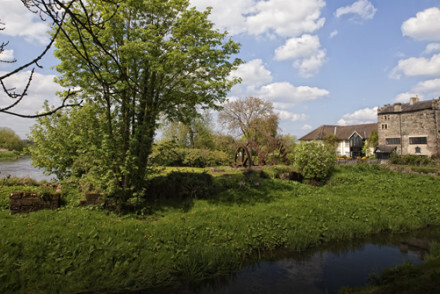 Great walks - Lovely rambles along the River Dove. The Peak District location mean that it's a walker's paradise! 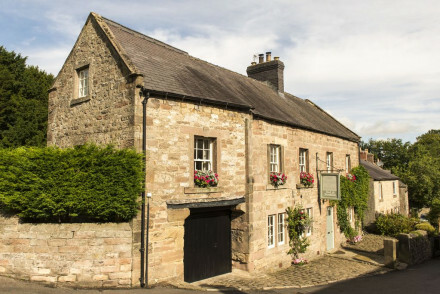 500 year old inn in the north of the Peak District National Park. Traditional meets contemporary with flair and comfort. Award-winning restaurant. Set in a beautiful house in sleepy village of Winster. Boasting three lovely rooms and a peaceful garden in which to relax, it's a great base for exploring the Peak District National Park. Local exploring - A great base from which to explore the Peak District. Great walks - Beautiful walking routes include Monsal Head and Tissington. Fishing - Go trout fishing on the nearby Dove and Wye. Sights nearby - Six miles from the beautiful Haddon Hall. An ancient ivy-clad hotel, reputedly Britain's oldest, in the charming town of Buxton. Traditional rooms feature pretty chintz wall paper, heavy draped curtains, antique furniture and, some, four poster beds. A popular restaurant and bar complete this wonderfully British escape. Local exploring - Well situtated to explore the historic town of Buxton and the beautiful Peak District. Great walks - Discover the delights of the Peak District on foot, the hotel provides packed lunches for longer hikes. A boutique country inn with easy access to the Peak District. Beautifully renovated rooms are light and airy with soft hues, parquet flooring, simple contemporary furniture and luxurious bathrooms. An atmospheric restaurant serves modern British fare alongside a choice selection of ales. Country Escape - With the beautiful Derbyshire and Peak District countryside on the doorstep this is the perfect rural getaway. Sights nearby - Take a tour of the imposing country manor, Kedleston Hall. Great walks - Take long walks through the surrounding Peak District. A converted farmhouse set in mature gardens. Traditional rooms feature dark hues, antique beds and the best are split level. Offering hearty breakfasts and a cosy fire lit lounge. Its easy access to London makes this the perfect weekend getaway. Country Escape - A cosy farmhouse set in picturesque countryside. Sights nearby - Take a tour of Chatsworth House, the home of the Duke and Duchess of Devonshire. This grade II listed country house is located within The Kedleston Estate, ten minutes from Derby city centre. It offers five chic individually designed rooms and you can enjoy meals in the beautiful Georgian dining rooms or a cocktail on the garden terrace. A peaceful country escape! Foodies - The catering team use fresh and organic local ingredients to produce some absolutely mouthwatering dishes! An imposing manor house with quaintly traditional interiors and a seriously good restaurant. Rooms are all chintz fabrics, floral motifs and antique furniture. In stark contrast is the contemporary British cuisine created at the Michelin starred restaurant. The perfect rural escape. 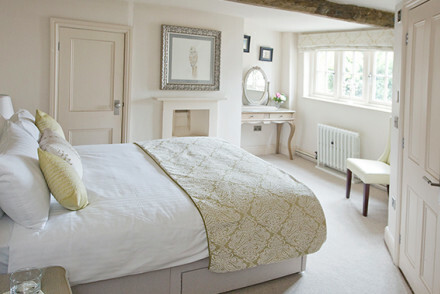 Country Escape - A picture perfect country house with excellent food, roaring fires and lovely surrounding countryside. Foodies - A fabulous restaurant boasting a Michelin Star. Certainly the centre piece of the hotel. Sights nearby - Just a short drive from Chatsworth House and Haddon Hall which make a great day out. Great walks - The Peak District offers endless options for glorious walks. 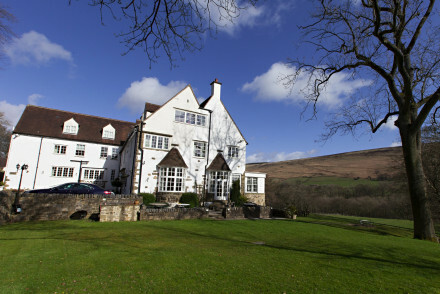 A luxury country hotel and spa set near the ever beautiful Peak District. Simply styled rooms feature large windows, soft hues and spacious bathrooms. A spoiling spa, quiet gardens and excellent restaurant make this the ideal spot for a romantic weekend getaway. Spa breaks - Unwind in the spoiling spa (using Thalgo products) and enjoy panoramic views over the Winhill and Hope Valley. Sights nearby - Find some of Britain's finest Country Houses including, Chatsworth, Haddon, Lymm Park and Hardwick Hall.